Neither so majestic in appearance nor so powerful in magical power, the dwarves lived their life silently through the whole Norse mythology. But their appearance in the myth affected so many creatures and events in the myth. This was mainly because the dwarves were the creators of many mighty weapons in the myth. 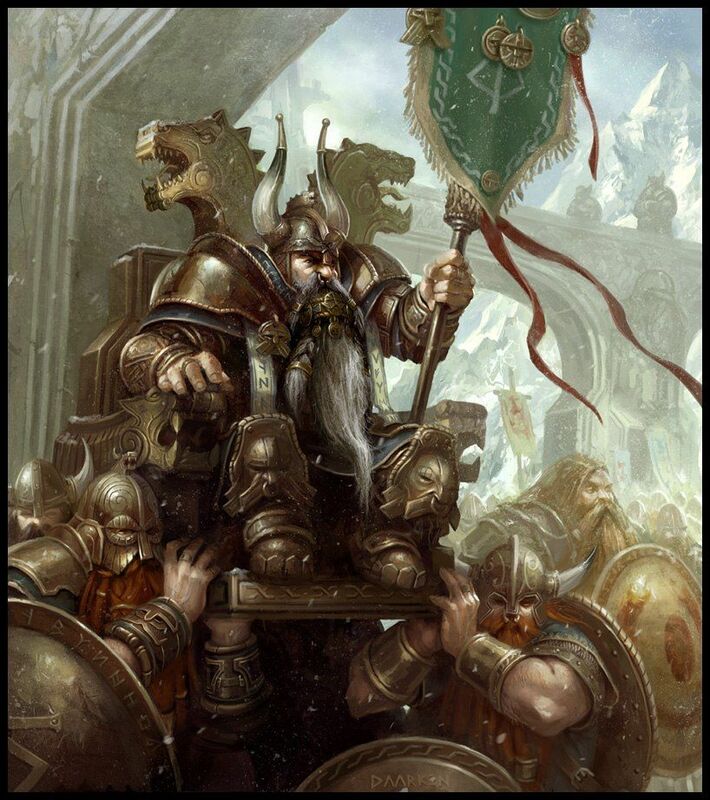 Dwarves were also known as the black elves. The origin of the dwarves was a little bit awkward, not to say somewhat hilarious. Long long ago, when the whole cosmos was the complete darkness, the fire from Muspelheim melted the ice from Niflheim, and the water dropping gradually formed the very first giant Ymir. Not long after that, Odin and his brothers came into being. They planned to kill Ymir and used his body to fashion the cosmos. When Ymir died, the worms crept out from Ymir's body and became the dwarves. There came the very first dwarves in the cosmos. Odin and his brothers were afraid that the sky would collapse so they asked four dwarves to go in four directions to hold the sky up. The dwarves lived deep under the land of Svartalfheim. Their homeland was described as somewhere very dark and dull. The land of Svartalfheim was known as the maze of forges and mines.